Remember back in 2009 when TechCrunch was going to unveil a cheap hackable tablet? That device died because TechCrunch's hardware partner tried to walk and take the IP with them, a move which caused the project to implode and resulted in lawsuits, recriminations, and a general mess. I'm bringing up that old story because it looks like Toys-r-Us may have forgotten that story. If a recently filed lawsuit has any legal basis, Toys-r-Us may have made a similar blunder. 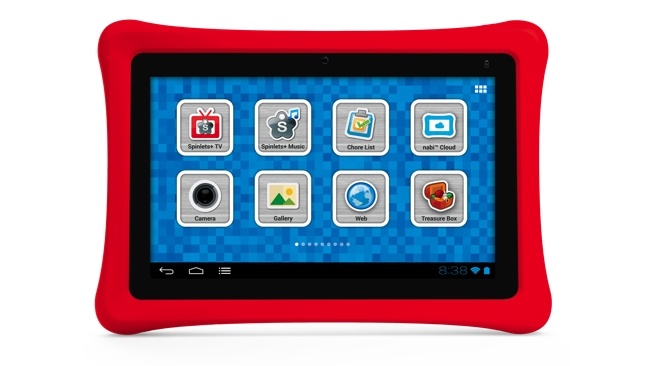 Fuhu, the El Sugundo based maker of the Nabi Android tablet for kids, filed suite yesterday against Toys-r-Us in federal court. Fuhu is accusing the retailer, who had signed a deal to be the exclusive Nabi distributor last fall, of " fraud, breach of contract, unfair competition and trade secret misappropriation". Fuhu goes on to claim that Toys-r-Us signed the deal last fall just so they could pilfer the secrets and use them to work on their own Android tablet. 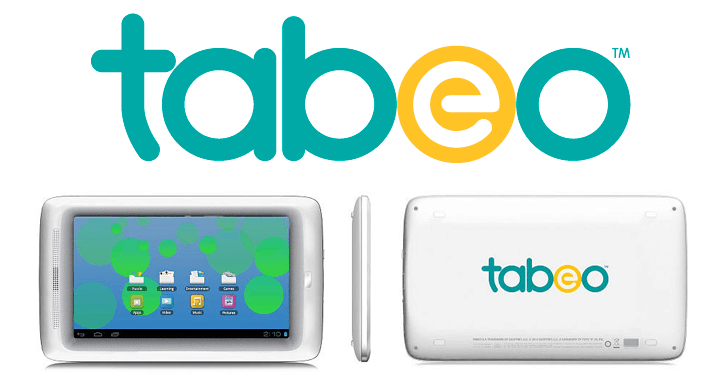 A few weeks back Toys-r-Us launched the Tabeo, a rebranded Archos tablet targeted at the kids market. 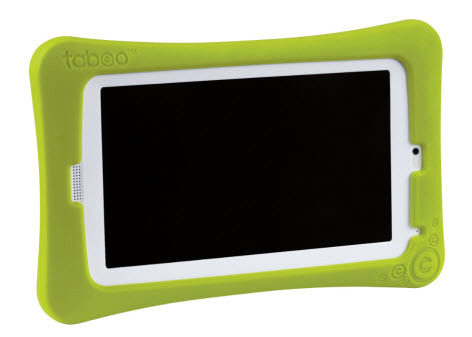 The Tabeo features a rubber bumper, kid-friendly interface, and other details which clearly are intended to put the Tabeo into direct competition with the Nabi. Both are 7" Android tablet with a custom interface, similar specs, and they both were designed for the kids tablet market. And as you can see from the product shots, the 2 devices look similar - though most of the similarity is due to the rubber bumper. According to the lawsuit, in October 2011 the retailer agreed to become the exclusive Nabi distributor in the US, but reportedly did "virtually no promotion" for the tablet and ordered hardly any stock for the holiday season - little little more than what Toys-r-Us said could be sold in a single day. The agreement ended in January 2012. That's a pretty damning case, isn't it? The detail about the limited orders is especially telling; there's little reason for Toys-r-Us not to sell the heck out of these tablets. They gave up a lot of money that Christmas season. And that. my dears, is why this lawsuit doesn't make much sense. Toys-r-Us is in this to make money, so even if they had planned to double cross their partner I would have expected them to order more Nabi tablets so they could sell them. The amount mentioned above is just too implausible to be a deliberate decision, and I'd be willing to bet that Toys-r-Us will respond with a claim that the Nabi had supply issues last fall. That is actually more likely than placing a single tiny order on purpose. I do wonder if price and supply issues was what drove the Toys-r-Us decision. The Tabeo is sourced via Archos, and that French tablet maker is certainly in a position to guarantee a certain minimum of production. What's more, they can makes the tablets for a lot less than Fuhu. The Tabeo is retailing for $150, and the Nabi is selling for $200. That's a pretty hefty pricing difference for 2 similar tablets, and it could indicate that Archos could offer a higher supply volume. On the other hand, Fuhu could be correct in every detail. We'll have to wait for the response from Toys-r-Us before we know what's really going on. Whether that’s a rip-off or not will be up to the U.S. District Court of Southern California to decide. But the kiddie tablet wars are likely to rage on, both in and out of court. The Consumer Electronics Association, tablets are experiencing a huge 83 percent year-over-year growth in sales. 68.5 million units are expected be sold in the U.S. this year. No company has cornered the kid’s tablet market yet, so expect Fuhu, Toys ‘R’ Us and Leapfrog (makers of the LeapPad tablet) to continue battling for children’s attention. When it comes to such cute devices, the competition can get ugly. Is the court room drama over yet for the tabeo? I am wanting to get for my two kids and just cannot afford the nabi. If they would lower their price I would buy that one. Please toys r us am a loyal customer have four kids and love your store. Please get it figured out so I can get the tabeo for christmas 2012….